The English department continues to be judged as outstanding based on the department review of 2017/18. Miss Connolly: Assistant Headteacher, English leads the department with Miss Hancock and Mrs McKone both as second in the department. Miss Hancock has overall responsibility for Key Stage 4 and Mrs McKone has overall responsibility for Key Stage 3. Miss Connolly, Miss Hancock and Mrs McKone lead a team of twenty four English teachers, two Curriculum Support Officers and two Learning Support Assistants, dedicated to working within English. The English department is housed within its own block which also has six computer suites for use by the department. Lessons are carefully planned and clearly structured with tasks scaffolded and differentiated to build students' learning. There is high quality feedback within the subject which challenges and supports students. 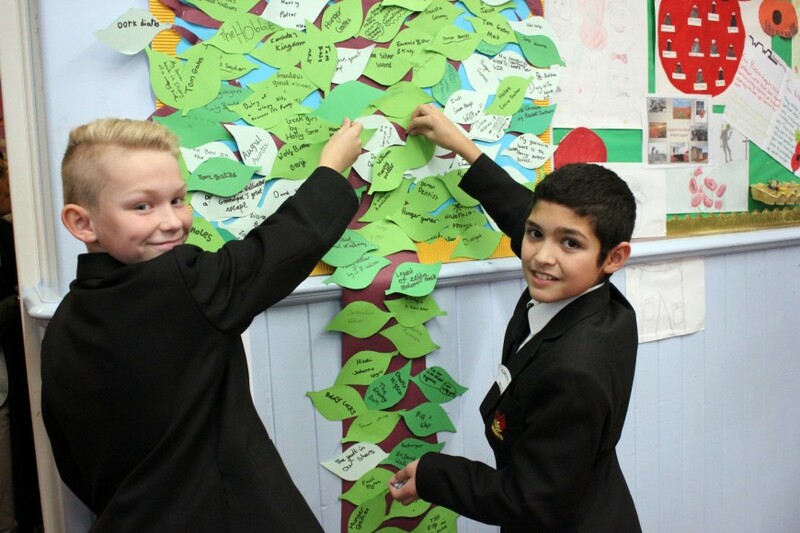 Students in Years 7-9 follow the 'Let's Think' programme which promotes discussion and independent thinking. Miss Connolly and the TLR holders lead the department very effectively at all key stages. Communication is a strength amongst the team, with briefings and meetings used effectively. Systematic quality assurance procedures are in place through lesson observations and learning walks. Exemplary marking practice in English has been identified as a key strength. GCSE: Students continue to do extremely well at Key Stage 4 with 86% of students achieving grades 4+ in English in 2017/18. A Level: The new combined English Language and Literature A Level has seen excellent results with 100% of students achieving grades C+ in 2017/18. Students feel work is challenging and builds on skills. They speak positively about English and the support they receive to improve their work. There is a positive and purposeful atmosphere within classrooms and students are motivated and keen to do well. Students feel safe and supported and can work independently. They are also comfortable working in pairs. A systematic programme of intervention is implemented. There are targeted intervention sessions across all key stages as well as tutorials for students in Key Stage 5. Inter-tutor activities promote literacy and oracy across the key stages. Identified students follow the Accelerated Reader and Fresh Start scheme in Years 7 & 8 to help support their literacy needs. 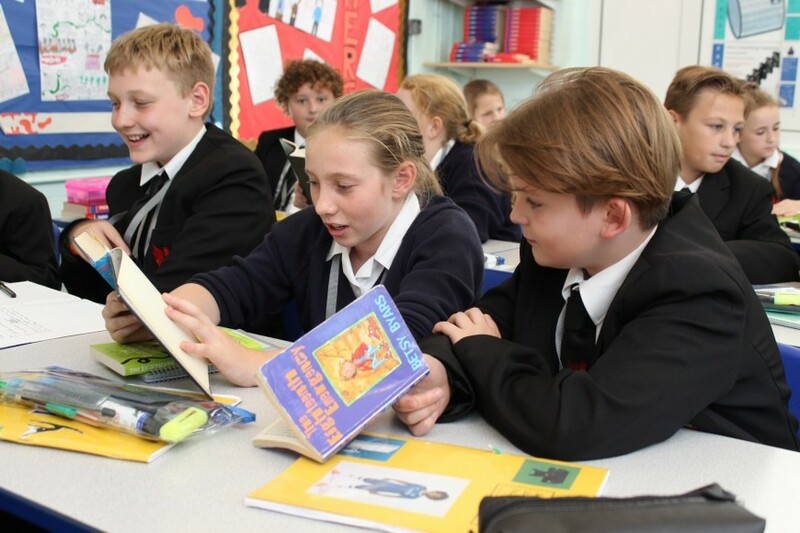 Reading is promoted through lesson time and at various points in the year, including celebrating World Book Day. There are regular theatre visits organised. Students have had the opportunity to watch 'Blood Brothers' performed on stage and visiting theatre companies come into school to perform productions of 'Macbeth' and 'A Christmas Carol'. In 2018 four students went on to do an English course at University. To develop the transition from Key Stage 2 to Key Stage 3, with a specific focus on reading. To build on the successes at Key Stage 4 and Key Stage 5 by revising teaching and learning. To develop vocabulary and approaches to teaching this across the whole school.